What if there was a way that you could enhance both your mind and your energy levels? You may have tried countless ways to achieve this, but haven’t found the right nutritional ingredients until now. What is it? It’s Kiojo. Kiojo® is a all natural powder supplement that you mix with water for a tasty beverage that helps Hydrate your Body and Enhance your Mind™. The ingredients come from our daily food with the main ingredients in the beverage being D-Ribose, Potassium Bicarbonate, Magnesium L-threonate , Alpha GPC, Betaine TMG and L-theanine from green tea. Hydrate the Body-Enhance the Mind™ is able to boost brain power while improving quality energy levels without the use of stimulants like caffeine and that is why this supplement is different. D-Ribose is responsible for enhancing cellular energy within the body, and helping to produce ATP or adenosine triphosphate for increased vitality. ATP works to transfer energy throughout our body. 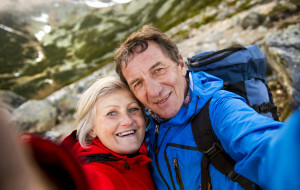 In a healthy person, Ribose is produced naturally and adequately to meet your energy needs. Without proper Ribose your body will have low energy production which results in fatigue and insufficient energy recovery after activities. A key factor for brain health, Hydrate the Body-Enhance the Mind™ is packed with Magnesium L-threonate—the only magnesium compound that helps enhance magnesium levels to boost working memory, which helps with high-speed decision making. This provides a fruitful day at work, in the gym, or just doing daily activities. 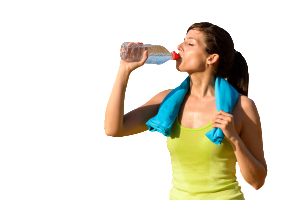 Potassium Bicarbonate is an electrolyte needed for hydration. It helps maintain the normal levels of acidity (pH) in blood, helps with the regulation of heartbeat and muscle function. Potassium helps prevent muscle cramping and is important for building muscle tissue. Another key ingredient is Alpha GPC which promotes the activation of protein kinase in the brain and is able to improve attention spans so you can be focused throughout your workouts and performances. In addition, A-GPC will formulate new growth hormone for maintaining your youth, vitality, and body composition. With its ability to oxidize fat cells, A-GPC can promote healthy weight management, so you can live a long and happier life. Betaine or TMG is a dietary ingredient found in spinach and sugar beets, it is an amino acid/pro-vitamin type nutrient that has shown to benefit the health of your heart, kidneys, skin, brain and liver. It helps to maintain cell structure, and protects the cell to withstand de-hydration stress giving you the ability to consistently maintain muscle. TMG is also a methyl group donor and is able to lower plasma homocysteine levels, which plays an important part in promoting long-term wellness. To keep you calm and focused the amino acid L-Theanine is added and is naturally found in green tea. It is beneficial in relieving symptoms of mental stress and social anxiety. In addition it boosts brain dopamine – which is one of the “feel good” neurotransmitters. Undoubtedly, Kiojo’s Hydrate the Body-Enhance the Mind™ is an innovative supplement that combines energy production with significant brain health. You may have tried a number of supplements throughout your lifetime though these supplements may have sparked a little energy, they couldn’t enhance brain function or upgrade your mood levels. Kiojo’s Hydrate the Body-Enhance the Mind™ delivers this one-two punch, and it could be your ticket to improved competitive spirit, greater memory, and better health.